This prestigious event is almost upon us. The New Years Day 9 mile Time Trial. So – want to start off 2017 with a blast – and feeling the roughest you have felt in a while after only nine miles? Well just walk this way! St Marcella’s Church – Off the bypass roundabout – road to Llandurnog. Church to Llandurnog, left across to the main road, left at Blue Hand Corner back towards Denbigh, left again onto the bypass, left back to the church. Nine Miles. Behold these athletes at the top of their game in their National Costumes… SO PROUD. *but alas no “come and try option” so CT affiliated club membership is necessary. End of the TT Season. Sadly the VC Melyd & Rhyl CC 2016 North Wales Time Trial league has come to an end. The end of season results are to follow (will be updated on release). 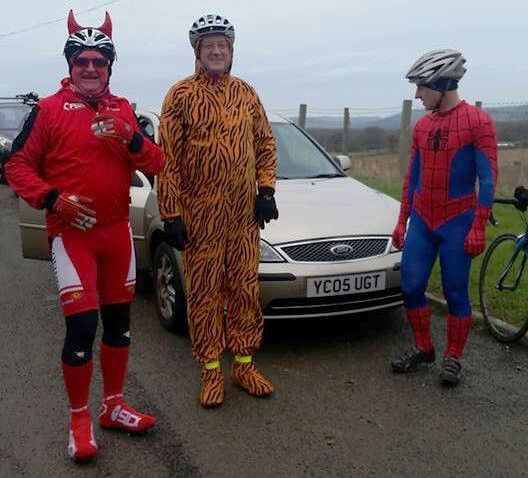 Next date for the diary – Sunday 1st January – New Years Day – The Brass Monkey – a 9 mile TT … it’s rare that something makes so much sense – hungover, bleary eyed, lacking in sleep, no doubt in half light and rain, what better way to start the year than 30 minutes of blissful agony. See you there then! As the evenings start to close in and the time trial season is all but at an end we see a number of great performances over the five course this evening. 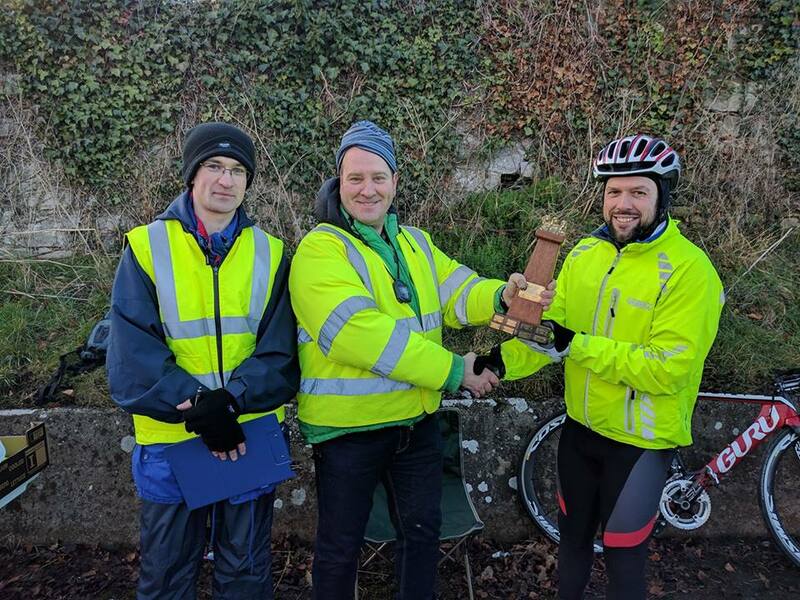 A large turn out this evening for the third penultimate event of the year – the Rhuallt Hill, Hill Climb – with a great number of personal bests achieved. Many thanks to Andy Malcolm, Gary Houlston for arranging the weather and running the event – as always no help – it doesn’t occur. While the points lead now seems that first is a given – the rest of the field is open to taking… see you next week people. This weeks event saw a 2up time trial around the D1/9 course. Attendance was low – however much fun was had. No points were attributed to this event. 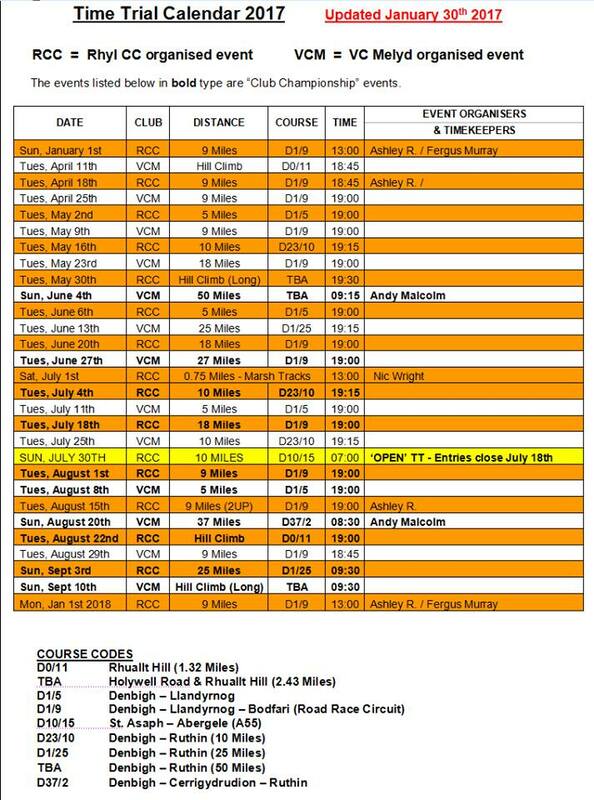 The last of the nine mile courses this season for the VC Melyd & RCC time trial league. Thank you to everyone who took part and helped out this evening. A clutch of personal bests on a day of mostly confused weather.